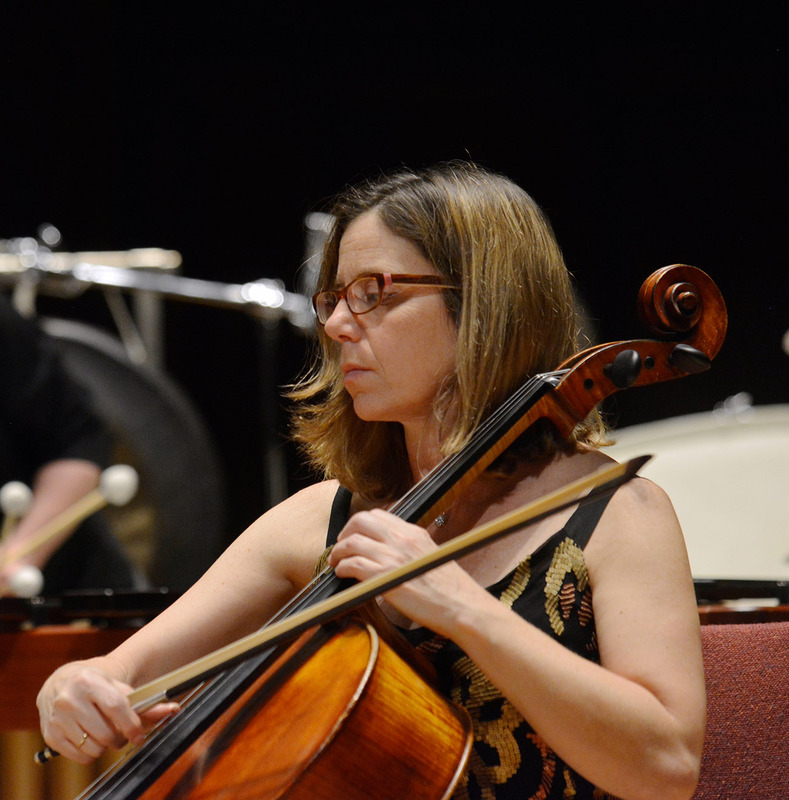 Maggie Parkins is equally at home in chamber music, orchestral music and the avant-garde. She has performed throughout the Americas and Europe and her work currently ranges from concert recitals to multimedia, multi-genre collaborations. Always an advocate for new and experimental music, Parkins, along with the Eclipse Quartet, has commissioned or premiered numerous works from composers, including Carla Kihlstedt, Zeena Parkins and Fred Frith. As a chamber musician, in addition to the Eclipse String Quartet, she also is a member of the Mojave Piano Trio and Brightwork newmusic. In the orchestra world she has performed under the batons of Seiji Ozawa, Leonard Bernstein, Simon Rattle and Andre Previn performing with the Brooklyn Philharmonic, the Syracuse Symphony, the Los Angeles Master Chorale, the Pasadena Symphony, the Riverside Symphony and the Santa Barbara Chamber Orchestra. She was cello professor and coordinator of chamber music at UC Irvine from 1997-2016. Numerous recordings on the Tzadik, Avan, Victor, Bridge and Albany labels. Performed at international festivals including the Santa Fe Chamber Music Festival, Festival Internacional de Musica de Cadaques (Spain), Spoleto (USA and Italy). In Los Angeles, she has been heard at the Hear and Now Festival, the Angel City Jazz Festival and the International New Music Festival of Southwest Chamber Music. Residencies at Mills College, Oakland, CA performing and teaching composer workshops and improv classes and worked with student composers and recording engineers. Villa Aurora in Los Angeles with the Eclipse Quartet working with resident composers. Taclos Festival in Switzerland, Look and Listen Festival in NYC and the Nirmita Composers Workshop in Bangkok, Thailand. State University of New York at Stony Brook, D.M.A. Copland Fund for Music Recording Grant.